Property Owners: List your Rhône-Alpes property on the premier site specialising in French holiday lets. More Info. 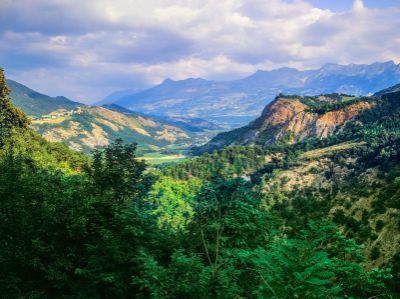 Rhône-Alpes villas are top of many people’s lists when it comes to selecting a place to stay, as they are always convenient and homely, and extend the natural welcome of the region to the weary traveller. The same is also said by those who swear by gite holidays, as the gites in Rhône-Alpes are a perfect match for that special break. Both forms of accommodation allow you to enjoy a holiday that is free of any schedule other than that imposed by yourself, meaning more time to relax and explore. The region has three main cities; Lyon, France’s second city, St. Etienne and Grenoble. Lyon is an historic city, overflowing with culture and gastronomy. During August, the place is relatively deserted, so avoid that month if at all possible. December visitors can attend the Fête des Lumières, which occurs over a period of four days around the 8th. Originally, a religious celebration, when people spontaneously lit up their windows by candlelight to celebrate the inauguration of the statue of the Virgin Mary, it's been repeated every year since. However, it’s now become somewhat of an international event, and spectacular professional light shows are set up all over the city, alongside the traditional candles. In 2000, St Etienne received the title of “Village of Art and History”, reflecting its love affair with art. This can be observed everywhere in the outdoor design that lends the city its beauty. Every year, it hosts a varied programme of artistic and cultural events that include a music festival, an international festival of street theatre and a festival of visual arts. Grenoble is another exciting and interesting city. Some excellent 19th and 20th century art from the brushes of Matisse, Picasso, Gauguin and Bonnard can be viewed in the Grenoble Museum, while the National Centre for Contemporary Art is recognised as being one of the finest in the country. And while you’re there, don’t miss the opportunity of a ride in a cable car to the Forte de la Bastille for some breathtaking views of the city and surrounding area. Rhône-Alpes has a deservedly high reputation for the quality of its wines, and to accompany those wines, there’s certainly no shortage of good food. Cheeses to go out of your way for include Bleu de Gex, Picodon, Bleu de Termignon and Cervelle de Canut, a delightful cream cheese infused with herbs. For sausage lovers, try the saveloys that are stuffed with pistachios or truffles, or both. If you travel to the Ardèche during the autumn, you’ll be in the right place to sample the wonderful chestnuts and some of the many delicious recipes that they’re used in. The region also produces gorgeous jams, sorbets and fruit juices from orchard fruit such as peaches, pears, cherries and apricots. Last, but not least, on this swift culinary tour, comes Montélimar nougat. Made with almonds, pistachios, lavender honey, egg whites, vanilla and sugar, it’s simply exquisite!